This following question came from a friend through Facebook, and once I started writing, it grew and grew, so I decided to make a separate post on it. I do like my gadgets, and this trip is no exception. The post contains lots of links to product pages and Wikipedia-pages for reference. The center of our computing world at the moment is our trusty Sony VAIO-P788K in gold (a demo model we bought on eBay, so couldn’t be too picky ‘bout the color). which we watch while on the road, To store all those we have a tiny Western Digital My Passport SE of 1Tb (which is almost full…). We carry two cameras (not counting the one in the laptop and three in our two cellphones) with us. For those who know me a little, I love my cameras and usually carry more camera stuff with me on a trip than other stuff (my camera bag usually weighs in around 6-10kg). But since we had to weigh every gram for this trip, I forewent bringing my Canon 5D with either my 24mm f/1.4, 135mm f/2 or 24-105mm f/4 lens, I also left my Hasselblad at ‘home’. Instead we have two camera’s, the first is a Panasonic DMC-LX3 (from an online review: ‘The LX3 is a compact camera that photographers can get excited about’), with a wonderful 24mm f/2.0 wide angle lens, it’ll shoot RAW and you can tweak just about every setting that you can on a big DSLR. 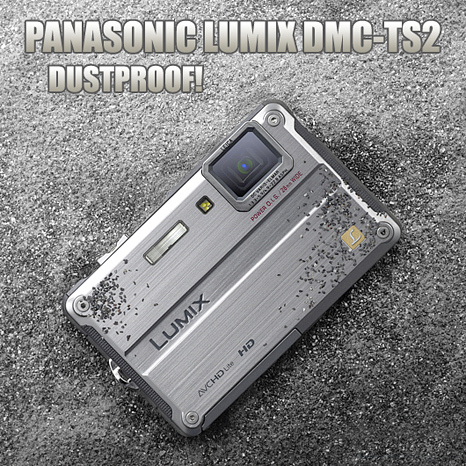 Then we also carry a Panasonic DMC-TS2, which is water-, dust- and shock-proof, which comes in handy on the back of the bike! We used to communicate on the bike through our Sena Bluetooth Communication headset SMH10, and loved it. It’s all we wanted from a comm-set, easy to use (2 buttons only), charged through USB, versatile (we can both listen to our own (Bluetooth) MP3-music). I left my fancy cell phone in storage with the rest of the stuff of our house, partly because running less risk of being robbed when people see a fancy phone, and partly because it’s quite chunky. So instead I bought a ‘chinese’ phone instead. Cheaper, runs on a regular Nokia battery, can take 2 (!) sim cards, even has Bluetooth so I can use it with the comm-set on the bike and the speakers on the phone are LOUD! Puts the ones in the laptop to shame (really, I love the laptop, but the speakers are cr*p)! Our other phone is almost dead, unfortunately. It’s a Nokia E71 we bought in China in 2009 after the original one was stolen. We use our trusty Garmin GPS 60Csx, our second one, since the first ran out of steam earlier in our trip. The model is from 2006, so quite old, but she does the job just fine, is small, handy, and the screen is readable under direct sunlight. No fancy stuff on it, no touch screen, can’t play MP3’s on it, nor can I connect my cell phone. It doesn’t even say the direction, just points them on the screen, but that’s just fine. Our GPS in Bolivia, showing an altitude of 4112m (~13,490ft) above sea level, we went over 4500m (~14,760ft) that day! We also purchased two e-book readers, highly, highly recommended! It saves us from bringing tons of books with us. I purchased mine from the get-go, a Sony PRS-300, a very simple and cheap model, but it does the job: I can read books on it, the battery lasts forever, and it’s light. I got Shu hers (with the wonderful product name of 4FFF N618) in The Netherlands when the discount store Aldi had them on special, it’s fancier than mine, it has a touch screen, can play MP3’s, it even has Wi-Fi. But the battery life is on the short side (she charges every few days, I can do weeks without a recharge, and that’s not just because she reads more than I do…), and browsing the internet is not really recommended, let alone writing emails with it. What do I/we miss? We miss our comm-set right now. That was really convenient, being able to talk on the bike driving at any speed at the press of a button. 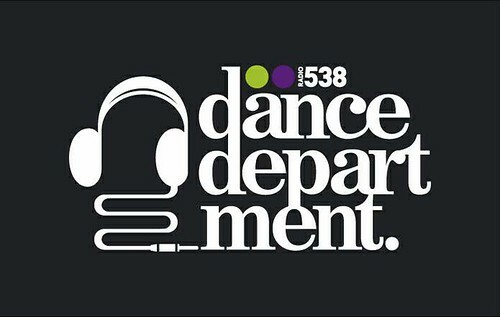 I also loved using it to listen to music, Dance Department podcast especially (‘The Best Beats On The Go!’). What else? A cable to hook up our laptop to a TV so we can watch our favorite TV shows and movies on the big screen (add to that a projector! So far we stayed with 4 friends on this trip who had projectors to show movies on, we are HOOKED!). And maybe a second laptop, or even just a smartphone so we can check our emails at the same time. Now we have to ‘share’ the laptop! So now you know, this is the tech-side of our trip! Speaking of technology, during the first part of our trip from UAE to The Netherlands, on top of our regular motorcycle gear, we wore Hit-Air Airbags. Nope, not kidding, actual airbags that you can wear like a jacket, or in our case a vest on top of our jacket. Due to the change in conditions in South America, we decided not to wear them here. But I will continue to wear them when back. I have a laptop that is in dire need of repair. The problem is that the place that the manufacturer (Toshiba) recommends has a policy of erasing the hard drive if it is damaged or "the software is corrupted". The laptop's hard drive is perfectly fine, but it has only Linux installed on it, and I expect that Linux will be regarded as "corrupted" software, resulting in an unnecessary erasing of the disk.